Every health and nutrition plan requires an individualized approach. Even if a certain dietary plan that emphasizes one food group over others works for a lot of people, that does not mean that it works for others. For some people, eating a high fat, high protein diet is great, but others are better off with a little more carbohydrates. So when it comes to choosing what's right for you, considering the source and quality of the food is sometimes more important. There are several reasons why lentils and grains have been on the "do not eat" list of some of the popular diets. How could this be as so many people locally, nationally, and worldwide rely on these as staple foods? Legumes are excellent sources of fat, protein, and carbohydrates; and different varieties contain varying amounts of these nutrients. 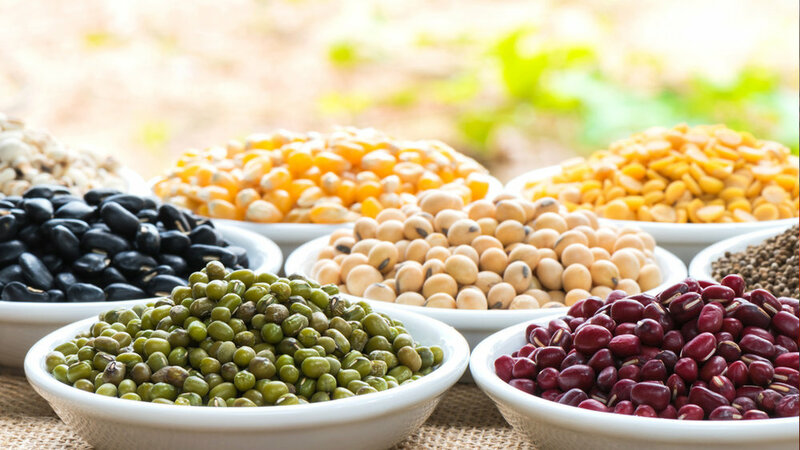 The legume family include adzuki beans, black beans, soybeans, anasazi beans, fava beans, garbanzo beans (chickpeas), kidney beans, lima beans, soy nuts, carob nuts, peanuts, green peas, snow peas, snap peas, split peas, black-eyed peas, and lentils. Grains have received a bad reputation, because so many people are eating refined carbohydrates found in processed breads, fried foods, candy, cookies, cereals, and other junk food. There is also the great topic of gluten that has created buzz and confusion around grains as a whole. Gluten is a general name for the proteins found in wheat, which includes wheat berries, durum, emmer, semolina, spelt, farina, farro, graham, and einkorn. It is also found in grains such as rye and barley. Gluten can be very pro inflammatory, meaning that it can create an immune response of different types in the digestive system. However, not all grains contain gluten, and some, like quinoa and buckwheat, are rich in key nutrients. So, why the bad reputation for both of these foods? One reason is phytic acid or phytate, a compound found in plants, that has been labeled as a mineral absorption inhibitor. Some studies have shown that consumption of foods high in phytic acid, such as grains and legumes, can lead to deficiencies of vital nutrients like iron, zinc, calcium, and magnesium. The other reason is food allergies. Many people have a hard time digesting legumes and grains, and symptoms can include bloating, fatigue, disturbed bowel movements, headaches, and mood swings to name just a few. The topic of foods that are pro-inflammatory and why will be covered in a future post. The big question that I want to answer is how can you enjoy the nutrient profile of legumes and grains without being worried about phytic acid and mineral absorption? 1) Soak your legumes or grains for at least 12-24 hours before cooking. This includes the foods mentioned above. This is enough time to remove most of the phytic acid and free up the minerals in the legumes or grains to be absorbed. 2) Buy sprouted grains, legumes, and nuts when you can. 3) If you are vegan or vegetarian, make sure you have a good multivitamin on board that covers a spectrum of minerals and vitamins. Take with meals not containing legumes or grains to ensure adequate absorption--unless you're soaking beforehand. "Although phytic acid content of foods can affect mineral absorption somewhat (less than 20 percent), phytic acid is not toxic and it actually has beneficial properties as a potent antioxidant. Phytic acid is a phytochemical with significant anti-cancer and other health benefits such as reducing inflammation, lowering blood sugar and insulin, and protection against diabetes, Parkinson's, and even reduces kidney stone formation. Its effects on lowering mineral absorption in those eating healthfully is minimal (because of bacteria in the gut break its mineral bonding). It does lower iron and zinc absorption in the diet, but the effect on other minerals is negligible. Trying to keep levels low is not necessary as the bacteria in the digestive tract (as long as not taking antibiotics) help humans metabolize the excess phytic acid, minimizing the negative. I do not feel soaking and fermenting foods is necessary to remove phytates." Our health and wellbeing are not dependent upon simply eating or avoiding certain foods. It's more about what happens on the physiological level and if it resonates with our bodies. Many foods are unnecessarily placed in a good or bad category given misleading evidence. There are different sides to every food, and when we can get to know the different sides, we can make better decisions. Food and Inflammation--What is it really? Optimal Health: What Does It Mean & WHY?